I've been getting into collecting vintage nature books lately. I thought I would share a few of my most recent finds. 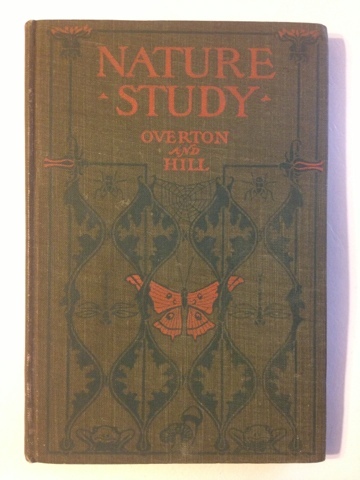 First up Nature Study by Overton and Hill. Published by American Book Company in 1905. First edition. The cover art is pretty awesome featuring nice details like spider webs, mushroom, frogs, dragonflies, house flies and a central butterfly. The book itself is an upper elementary text on Nature Study. It has an introduction by Anna Botsford Comstock. The photos inside show everything for snowflakes to the inside of an oak apple gall. 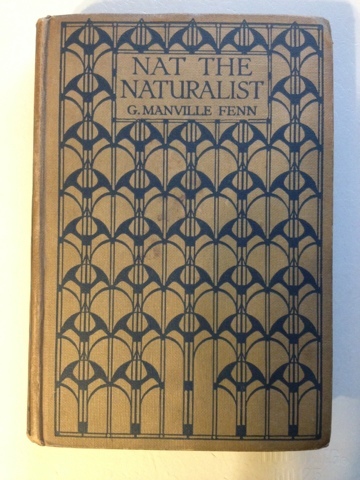 Nat the Naturalist by G. Manville Fenn. This is a young adult fiction book that features a lot of natural history in the storytelling. I particularly like it because the cover artwork is designed by the famous designer Charles Rennie Mackintosh. This was printed in Great Britain by Blackie and son Ltd., Glasgow. They commissioned Mackintosh to create this cover as a generic cover for a number of books they published. The book contains no publication date but a handwritten inscription inside reads, October 2, 1928. Mackintosh died in that same year. Interestingly I have seen the identical book with the same cover featuring a different color plate opposite the title page. Here is the drawing in this edition. I do not know what edition this is. I have seen copies of this book as early as 1883. I have another edition on order with a more elaborate cover also by Mackintosh. Those are my two most recent purchases. 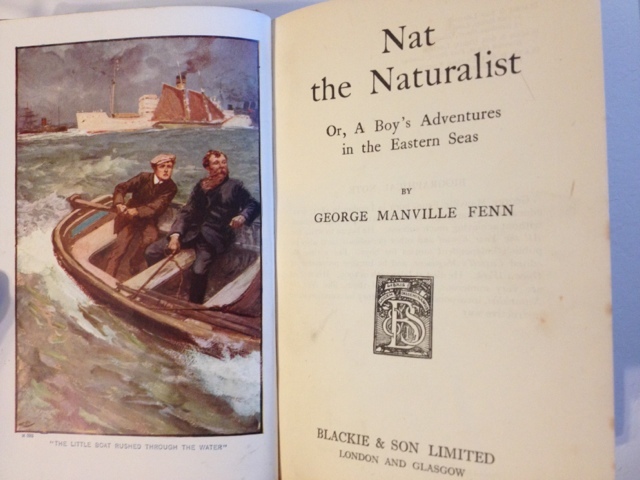 Any other book lovers out there with a penchant for nature or natural history books? Kirk - You know I can't resist a good collectible nature book. I have one called Bill and the Bird Bander. It is probably the only fiction book ever to have Bird Bander in the title.